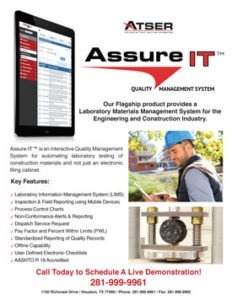 Assure-IT™ is ATSER’s real-time, web-based Quality Management Solution for labs in the Construction & Engineering industries. 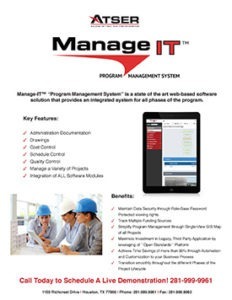 It reduces downtime by providing real-time trend analysis to accurately predict non-conformance and eliminate rework. 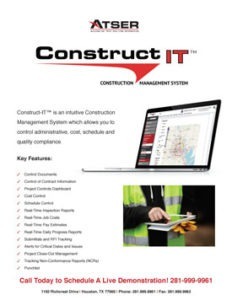 To accomplish this, the quality data flows automatically from field inspectors, testing technicians and remote laboratories to a centralized quality database as the first stage in providing clear quality documentation. 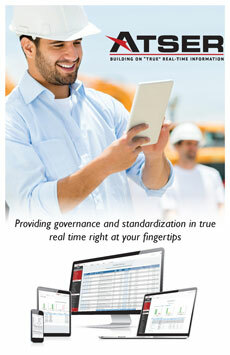 The built-in checks and balances of the field equipment ensure accurate and timely information in the database. This results in higher quality materials and location while providing the client with a high level of confidence that its quality objectives are being met. 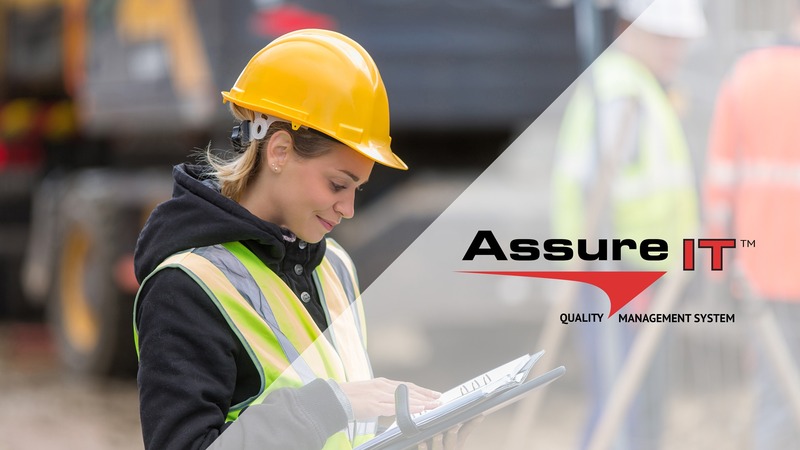 Assure-IT™ efficiently closes the gaps between the business units and stakeholders during the different phases of the project. 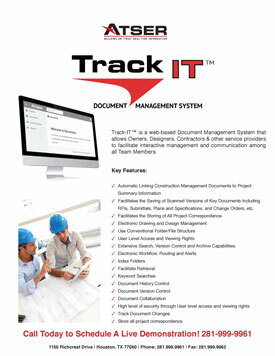 This results in the owners being confident that the project’s quality initiatives are executed. 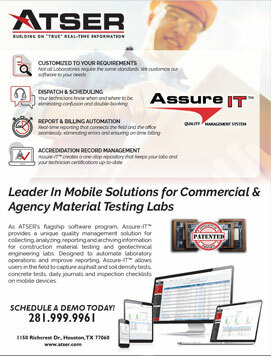 Assure-IT™ provides central accessibility for all Quality Assurance activities, testing activities and comprehensive capture of workmanship. 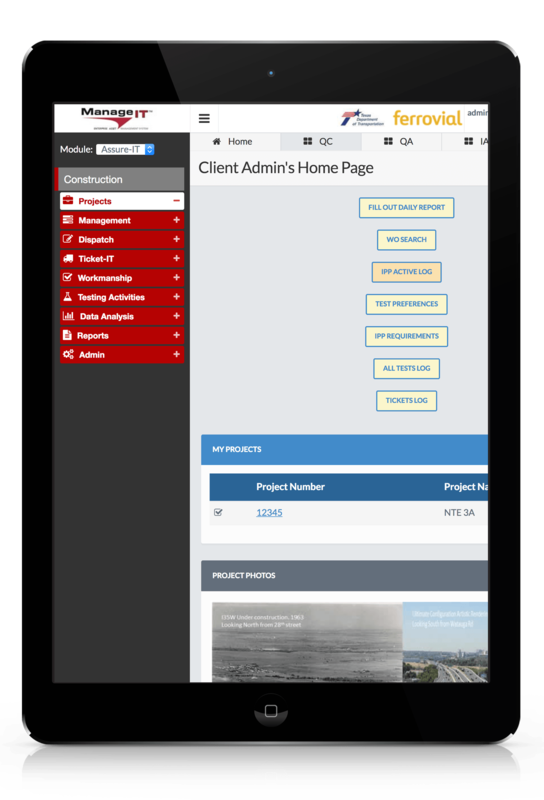 Data of field samples is updated in real-time and stored within the database. Copyright © 2018 ATSER. All rights reserved. Yes, I would like to receive news about events, promotions and other opportunities about ATSER via email. I may withdraw consent at any time. Thank you for signing up! 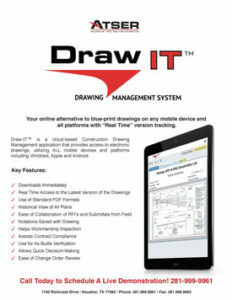 Click the button to download the flyer below.